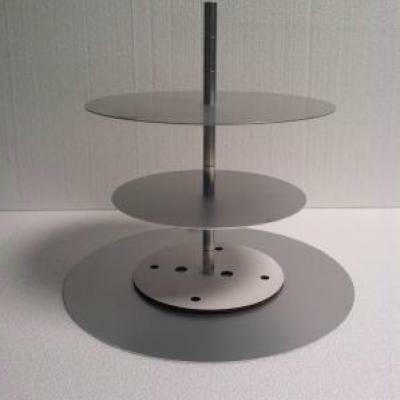 Predesigned Upside Down cake stand set for a 10″, 8″ and 6″ cake designed to support your cake upside down safely sitting on a table. All of our Upside Down Stands are constructed of sturdy food grade anodized aluminum and stainless steel. 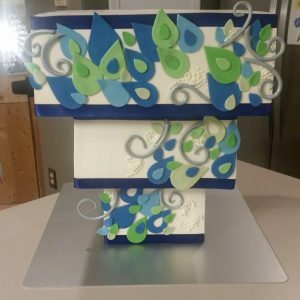 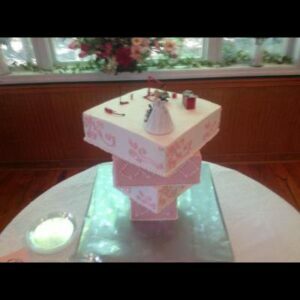 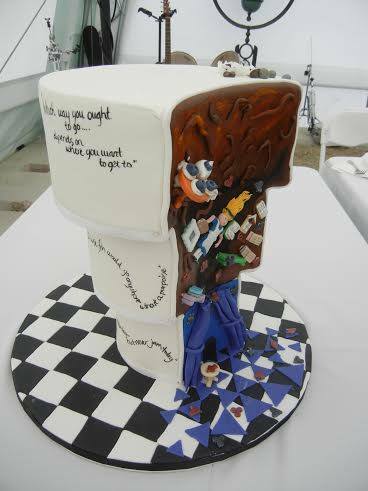 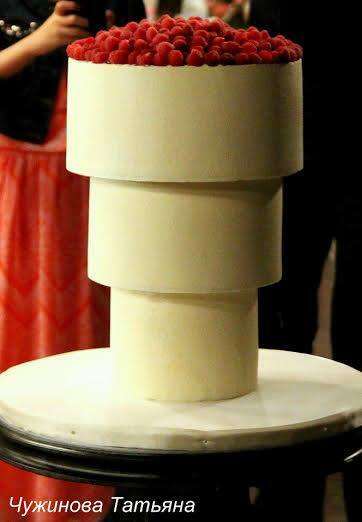 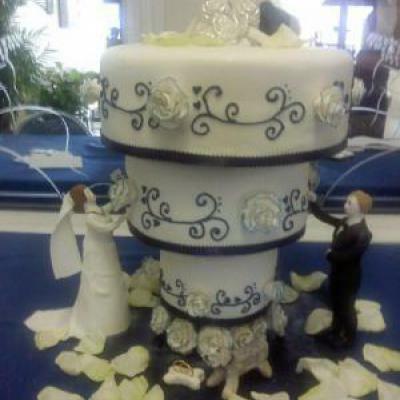 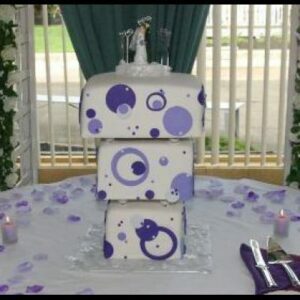 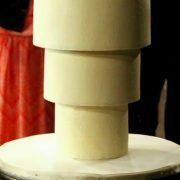 Each comes with a base plate, cake plates and an adjustable height of 3 to 6 inches per tier! 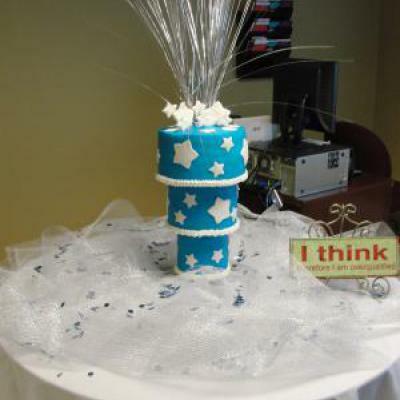 Looking to create a Hanging Chandelier Upside Down cake? 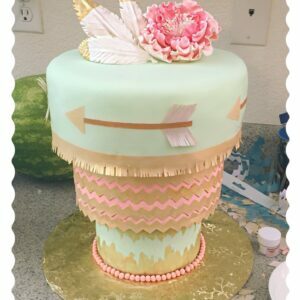 Check out our sets here!